USB & Network TWAIN/WIA Scanning at 1200 x 1200 optical dpi. 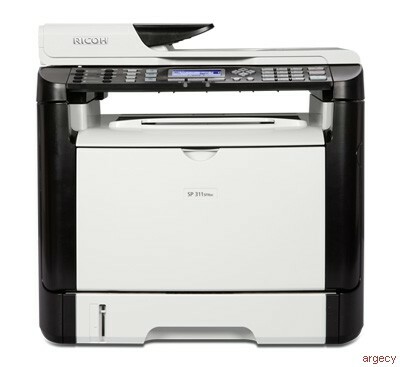 Super G3 Fax plus LAN Fax & Internet Fax. @Remote2(limited support, requires optional @Remote Office Appliance)1PCL 5e does not ship with the product, but the controller can receive PCL 5e data from the host PC. Fax Features: Auto Answer, Auto Redial, Auto/Manual/Substitute Reception, Book Fax, Broadcasting (100 stations), Contrast Control, Error Correction Mode, Image Reduction, Immediate/Memory Transmission, Monitor Speaker, On Hook Dial, Page Retransmission, Pulse/Tone Selection, Smoothing, Telephone Answering Machine Interface, Time Indicator *ITU No.1 chart, Compression: MMR, Resolution: Standard speed: 33.6 Kbps.